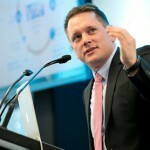 ASIC cracks down on miners shifting into technology sector (0) July 31, 2014 ASIC has issued a warning to resources companies transitioning into technology companies to fully disclose their intentions to the market and shareholders. UOW joins the great graphene development race (0) July 31, 2014 ​The University of Wollongong has joined the graphene race with a $25 million federal funding grant and a new patenting agreement. 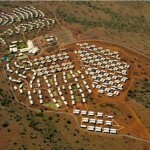 ​Grylls calls for an end to FIFO camps (0) July 31, 2014 The Nationals member for the Pilbara, Brendon Grylls, has called for an end to large scale FIFO camps. Update: Orica faces Dyno Nobel blasting patent challenge (0) July 31, 2014 Orica is reportedly facing a challenge over its newly patented shotfiring techniques. 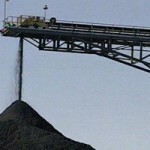 95 mining jobs cut at BHP coal mine (5) July 31, 2014 ​The cuts continue at BHP Billiton’s Mount Arthur coalmine, which will lose another 95 jobs to go in weeks to come. 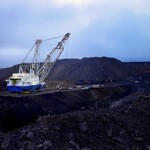 Rio Tinto to sell African coal assets (0) July 30, 2014 Rio Tinto has announced it will sell its coal assets in Mozambique to International Coal Ventures. 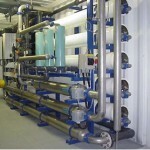 Reverse osmosis to purify fracking water at Gloucester (0) July 30, 2014 AGL have announced their intention to invest in a new desalination plant, which will purify water from the Gloucester gas project. 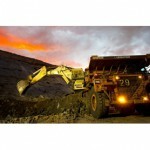 Rex Minerals’ Hillside project a step closer to copper production (0) July 30, 2014 ​Rex Minerals has announced new government approvals for copper mining tenements on the Yorke Peninsula in South Australia. Roy Hill hits construction halfway mark (0) July 30, 2014 The Roy Hill iron ore mine has hit a milestone, reaching the construction halfway point. 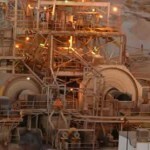 ​Mining tax fails to produce substantial revenue (0) July 30, 2014 The mining tax has generated $600 000 for the June quarter, falling welling short of the $150 million originally forecast. New copper processing plant application at Olympic Dam (0) July 30, 2014 BHP Billiton has lodged an application to construct and operate a demonstration plant for new leaching techniques at Olympic Dam. 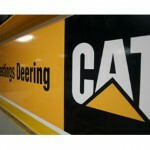 ​Caterpillar carries out massive stock buyback (0) July 30, 2014 Caterpillar has announced it will carry out an enormous $2.5 billion stock buyback this year. 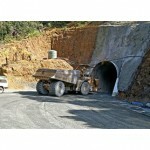 Overmass trucks on notice after mining equipment stoppage in Hunter Valley (0) July 30, 2014 ​NSW Police have intercepted a truck towing tunnel boring equipment near Newcastle after it was detected as being allegedly in breach of its permit. 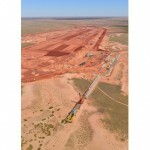 Monadelphous wins Sino Iron project contract (0) July 29, 2014 Monadelphous has won a $160 million construction contract for Sino Iron’s iron ore project. 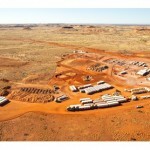 New WA uranium mine given environmental approval amid concerns (0) July 29, 2014 The Environmental Protection Agency in Western Australia has given conditional approval to the proposed Kintyre uranium mine in the Little Sandy Desert. 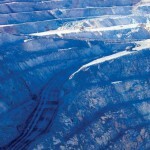 ​Sydney Morning Herald corrects Glencore tax claims (0) July 29, 2014 The Sydney Morning Herald has published correction regarding its article that Glencore has paid no tax over the last three years. Hunter Valley coal miner shoots for gold at Glasgow (0) July 29, 2014 ​A truck driver from the Mt Thorley-Warkworth mine has won gold for Australia at the Commonwealth games in the 10m Air Pistol event. 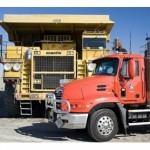 Kerman win Sino iron ore contract (885) July 29, 2014 Kerman Contracting has won a $146 million contract for works at Sino Iron’s Cape Preston operation. 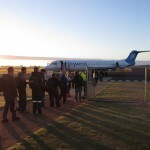 Cobham wins four year Gold Fields FIFO contract (0) July 29, 2014 Cobham Aviation has won a four year contract to provide FIFO services to Gold Fields’ Granny Smith and Darlot mines in WA. 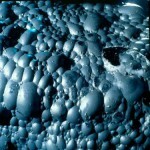 Carmichael coal mine means more jobs, less water for Queensland. (41) July 29, 2014 The $16.5 billion Carmichael Coal and Rail Project was given federal approval last week, a greenlight for Indian company Adani to proceed with development. 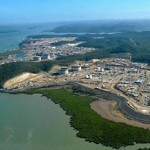 ​Orica fined $750 000 over chemical spills (0) July 29, 2014 Orica has been fined more than half a million dollars for a series of chemical spills at its Kooragang Island and Port Botany facilities. [Video] Sandvik’s new fluorine-free vehicle fire suppressant system (0) July 28, 2014 Australian Mining took a first-hand look at the Eclipse fire suppressant system from Sandvik, at QME 2014 last week. 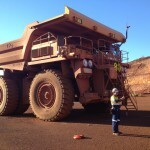 ​Push Pilbara mining to tourists, Anderson says (0) July 28, 2014 The founder of Contiki, John Anderson, has urged the Pilbara to promote its mining industry as a tourist attraction. Coalpac’s claims about age of Aboriginal hand stencil in dispute (0) July 28, 2014 ​An aboriginal hand stencil, said to be no more than 4 years old in a report commissioned by Coalpac, has been declared to be a genuine ancient artifact. 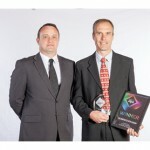 Queensland Mining Expo wraps for another two years (0) July 28, 2014 ​The Queensland Mining and Engineering Expo has wrapped up for another two years, having celebrated its 21st birthday on Wednesday last week. ​Historical mass burial ground uncovered in Bolivian mining town (0) July 28, 2014 A historical mass grave of hundreds of former miners have been found in the Bolivian mining town of Potosi. 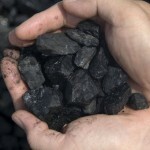 ​Moylan escapes jail after coal hoax (0) July 28, 2014 Whitehaven Coal hoaxer Jonathon Moylan has escaped jail, after being convicted of disseminating false information to the market. 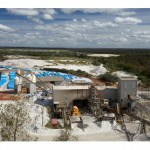 QLD laws inspire fluorine-free fire suppressant from Sandvik (0) July 25, 2014 ​Sandvik has launched a new, environmentally-friendly fire suppression system at this week’s Queensland Mining Expo in Mackay. 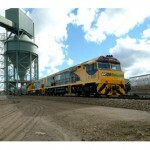 New rail fleet hits the tracks at Carina iron ore mine (0) July 25, 2014 Mineral Resources have unveiled their new $70 million rail set which will help the company lift iron ore exports out of its Carina mine by nearly 25 per cent. 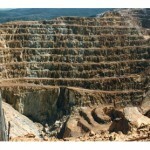 A mining resurrection [opinion] (0) July 25, 2014 Have the dire days of mining ended? 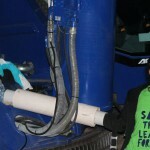 Driller left wheelchair-bound by incorrect drilling techniques (0) July 25, 2014 ​Ineffective risk management programs have been blamed for a drill rig accident which left a 26-year old man with permanent spinal injuries. 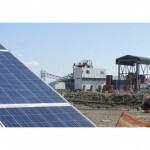 Expansion approval delays blamed for sand mine job losses (0) July 25, 2014 A production cut at Cristal Mining’s Ginkgo mineral sands mine has resulted in 27 job cuts. 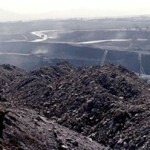 ​Chinese coal miners see hard year (0) July 25, 2014 More than two thirds of Chinese coal mining companies are operating at a loss, according to the China Coal Industry Association. 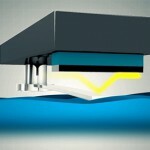 Seven new underwater mining licences issued (0) July 24, 2014 The International Seabed Authority has gotten behind seabed mining after issuing seven new underwater mining licences. 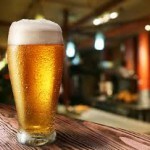 First ever Hunter Valley Coal Festival to launch next year (0) July 24, 2014 A new festival is being launched aimed at showcasing the benefits of mining in the Hunter Valley. Terex launch its largest luffing jib tower crane (0) July 24, 2014 Terex has developed a new range of luffing jib tower cranes, which have two and half times the load moment than the previous largest Terex crane. 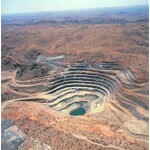 Kanmantoo copper mine’s life extended (0) July 24, 2014 Hillgrove Resources has received approval from the South Australian Government to extend the life of its Kanmantoo copper mine. 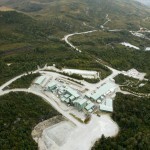 Barrick Gold’s Lake Cowal mine life extended (0) July 24, 2014 Barrick Gold has received approval to extend the life of Lake Cowal mine to 2024. 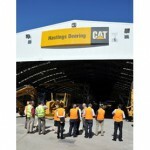 Sandvik upgrades productivity centre in Mackay (0) July 24, 2014 Sandvik has upgraded its Mackay productivity and aftermarket facility in Mackay. QME: Day two in focus (0) July 23, 2014 Day two of the Queensland Mining Exhibition 2014 has seen busier traffic despite the apparently depressed state of the Australian Mining industry. 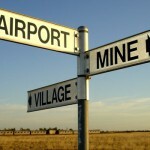 Northparkes Mines granted seven-year life extension (0) July 23, 2014 Northparkes Mines has had its future secured after gaining approval to extend the life of the operation to 2032. 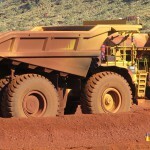 ​Rio Tinto push for monster iron ore mine (0) July 23, 2014 Rio Tinto is formalising plans for a new massive pit at its Yandicoogina operation in the Pilbara. 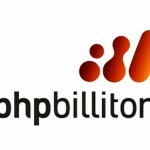 BHP sees jump in production year on year (0) July 23, 2014 BHP Billiton has seen a huge spike in its iron ore and coking coal output year on year, and has forecast continued growth. 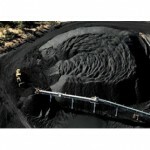 Glencore’s Queensland coal mines up for sale (0) July 23, 2014 Japan’s Itochu Corporation and Sumitomo Corp are looking distance themselves from coal by selling their combined 45 per cent stake in two of Glencore’s Queensland coal operations. 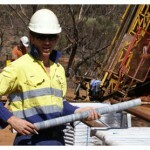 MACA awarded Karara Mining contract, appoints new CEO (0) July 23, 2014 MACA has won a contract for Karara Mining’s Hinge iron ore project in Western Australia as it appoints a new CEO. 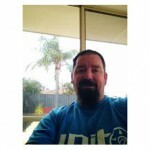 Contractor charged over death at FMG’s Christmas Creek mine (0) July 23, 2014 The employee of a worker killed at Fortescue Metals Group’s Christmas Creek operation in August last year has been charged for failing to provide a safe working environment. 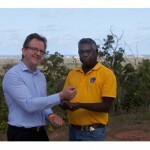 ​BHP pledges $6 million to ‘Bush Blitz’ (0) July 23, 2014 BHP, in conjunction with the government and Earthwatch, has pledged $6 million to the second stage of Bush Blitz. Underground mine transformed into trampoline wonderland (0) July 22, 2014 An abandoned 176-year old underground mine has been transformed into a trampoline park. And it looks amazing! Stop with the dramatics: former mayor’s message to Hunter Valley horse breeders (0) July 22, 2014 An Independent Upper Hunter candidate has taken exception with people who are opposed to Anglo American’s Drayton South coal mine but who don’t live near the Muswellbrook area. 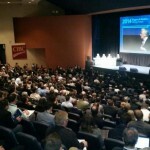 QME kicks off in Mackay today (0) July 22, 2014 ​The Queensland Mining Expo kicked off this morning, with hundreds of guests through the gates in the first couple of hours. 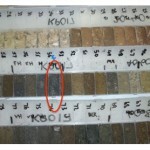 Metal concentrates resume export out of Indonesia (0) July 22, 2014 Indonesia has allowed two companies to export some metal ore concentrates after they agreed to pay a new 20 per cent tax. Pacific National welcomes five new locomotives (0) July 22, 2014 Pacific National has taken delivery of five new 88 Class locomotives for its coal haulage operations. 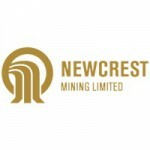 Shareholders launch class action against Newcrest (0) July 22, 2014 Legal action has been launched against gold miner Newcrest on behalf of current and former shareholders. 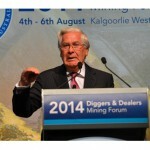 MH17 tragedy strikes WA mining industry MD (0) July 21, 2014 ​Australia’s mining industry has been touched by the tragedy of MH17, with the loss of the children of Buxton Resources managing director Anthony Maslin. 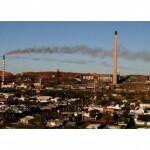 Broken Hill miner to save millions with carbon tax scrapping (0) July 21, 2014 Perilya has welcomed the abolishment of the mining tax stating the measure will save the company more than $3.5 million a year. 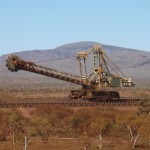 Mt Isa Mines attracts junior miners on the hunt for auction bargains (0) July 21, 2014 ​If you’re a junior miner in the market for quality used mining equipment, you may have missed a golden auction opportunity at Mount Isa last week. Work starts at Escarpment coal mine (0) July 21, 2014 Activities have started at Bathurst Resources’ New Zealand Escarpment coal mine. 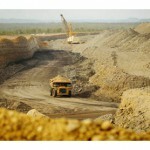 Solomon Islands workforce slashed at Gold Ridge (0) July 21, 2014 ​Hard times continue for Gold Ridge Mining, which will reduce its workforce to cut costs at their non-operational mine in the Solomon Islands. 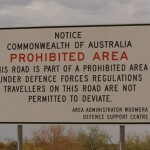 New legislation passed to allow mining in Woomera testing range (120) July 18, 2014 ​The Woomera Prohibited Area (WPA) in South Australia has opened its doors to the mining industry, with a bill passed by federal parliament on Wednesday. 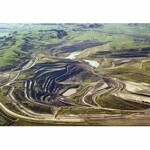 Anglo American’s Drayton South coal passes Department of Planning approvals (0) July 18, 2014 Anglo American’s proposed Drayton South coal mine has been referred to the PAC after the Department of Planning supported its approval. 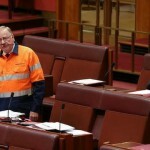 High-viz hijinks cause upset in Senate chamber (0) July 18, 2014 Senator MacDonald has caused some consternation in parliament by donning fancy dress to demonstrate his support for the mining industry. 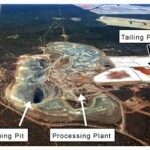 Griffin coal halts due to unpaid bills (0) July 18, 2014 ​Unpaid contracts have resulted in the suspension of 260 workers at Western Australia’s Griffin coal mine. 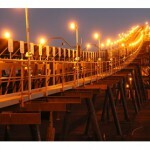 Thiess Sedgman JV win Fortescue Solomon contract (0) July 17, 2014 Thiess and Sedgman’s joint venture has won the design and construction contract for Fortescue’s Solomon mine’s processing plant. 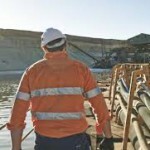 Minesite incidents and reporting on the rise in Queensland (0) July 17, 2014 ​An upward trend in Queensland’s mining safety incidents has been met with optimism by Natural Resources and Mines minister Andrew Cripps. 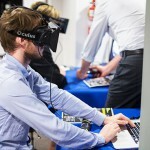 Virtual reality a training tool for mine site workers (0) July 17, 2014 Curtin University is using a new pair of virtual reality headsets to change the way mine workers are trained. Carbon tax repealed (4) July 17, 2014 The Abbott Government has repealed the carbon tax today. 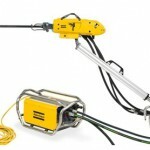 ​Atlas Copco sees an increase in activity in second quarter (0) July 17, 2014 Atlas Copco has recorded positive market movement, as it sees a jump in year on year orders. 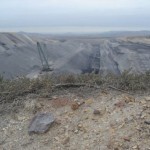 Modifications required at Duralie coal mine (0) July 17, 2014 ​The Duralie coal mine is due to get deeper, if given a green light by NSW state government. 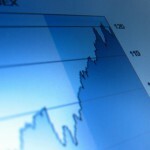 ​Joy Global sees price spike on takeover rumours (0) July 17, 2014 Joy Global has seen its largest spike since 2011 on the back of market takeover rumours. 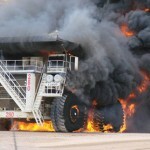 Small fire at Bengalla coal mine (0) July 17, 2014 Spontaneous combustion saw a small fire break out at Rio Tinto’s Bengalla mine this week. 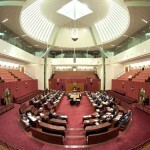 FIFO tax breaks come under the microscope (0) July 17, 2014 CFMEU calls to halt FIFO tax breaks for mining companies, LNP votes against 100 per cent FIFO, and MP Landry calls to end tax offset for FIFO workers. 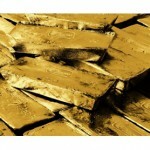 Barrick CEO given the chop (0) July 17, 2014 Barrick has ousted CEO Jamie Sokalsky in a surprise management shake up. 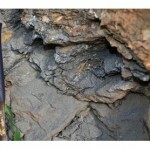 Aussie explorer strikes graphite deal with China (0) July 16, 2014 ​Australian explorer Uranex has hit a key milestone, securing an agreement for the sale of 100,000 tonnes of graphite per annum for the next five years. Coal port jobs cut in Newcastle (0) July 16, 2014 Port Waratah Coal Services have cut 34 jobs, citing the need to respond to challenging conditions in the coal industry. 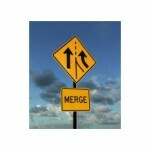 ​AECOM acquires URS (5) July 16, 2014 Massive global construction and engineering firm AECOM has acquired URS for US$ 4 billion. 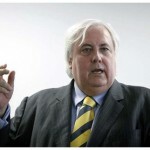 Mining tax repeal hits predictable PUP roadblock (0) July 16, 2014 ​Clive Palmer and the PUP are on a warpath in the Senate, now bartering with government to ​change the legislation to repeal the mining tax. Atlas Iron opens Mt Webber mine (0) July 16, 2014 Atlas Iron has officially opened its Mt Webber iron ore mine in the Pilbara. 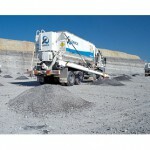 Caltex kicks off $200m Roy Hill diesel contract (0) July 16, 2014 ​Caltex has begun supplying on site diesel as part of its $200 million contract wit the Roy Hill iron ore mine. More graphite jobs on Eyre Peninsula (0) July 16, 2014 ​The South Australian graphite industry ​continues to show promise, with more jobs on offer from Lincoln Minerals. 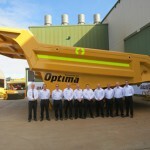 Austin Engineering launch new dump truck body (0) July 16, 2014 Austin Engineering have officially launched its new off-highway dump truck body design. 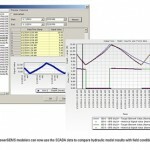 Bentley Systems releases SELECTseries 4 for design of wastewater systems (0) July 15, 2014 Increased depth of information modelling empowers users to evaluate and compare a wider range of network considerations. 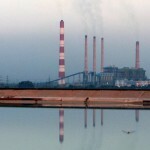 India’s coal shortage a boon for Australian miners (0) July 15, 2014 In what could be good news for Australia’s coal industry, India’s power plants are running out of stock, forcing the country to increase its import levels. 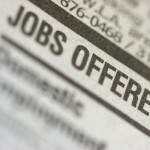 Mining jobs in demand (0) July 15, 2014 Recruitment expert Hays said Queensland is the place to be looking for mining jobs with engineers, electricians and safety professionals expected to remain in high demand until September. 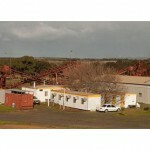 More jobs to come at Uley mine in South Australia (0) July 15, 2014 ​Graphite miner Valence Industries has announced they are near to completing the refurbishment of existing plant, and ramping up recruitment for workers. 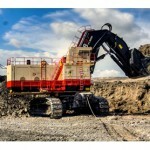 ​GE taking Cat head on in mining locomotives (0) July 15, 2014 GE is taking Caterpillar on in the race to develop locomotives that comply with stricter emissions standards. 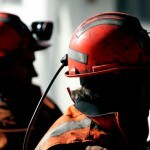 Tasmanian mine safety inspectors overworked (0) July 15, 2014 ​The results of an audit into the Tasmanian Mine Inspectorate are expected to show under-resourcing has compromised the effectiveness of inspectors. 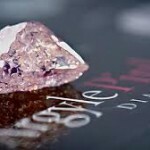 Japan’s First Lady dazzled by Rio Tinto’s pink diamonds (0) July 15, 2014 Japan’s First Lady has been given an exclusive preview of Rio Tinto’s Argyle pink diamond collection before the cluster go on official tender in August. 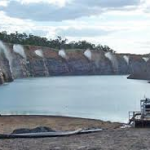 Report claims coal miners using too much water in Hunter Valley (0) July 14, 2014 A new report claims mines in the Hunter Valley are having adverse impacts on ground water, adding to salinity, and threatening agricultural land. 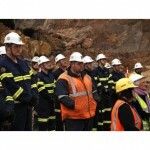 New opportunities for newly unemployed miners in Tasmania (0) July 14, 2014 ​The Tasmanian state government has formed an economic task force in the wake of more than 350 mining job losses on the state’s west coast. 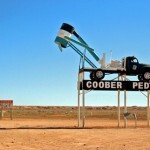 Coober Pedy on track for renewable energy hybrid project (0) July 14, 2014 ​The South Australian outback mining town of Coober Pedy will be run on 70 per cent renewable energy, thanks to a project grant from ARENA. 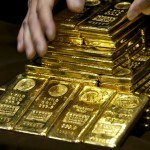 Nifty copper mine expects first ore this week (0) July 14, 2014 Aditya Birla’s Nifty copper mine will deliver ore for the first time in four months after a cave-in forced the operation to close down earlier this year. 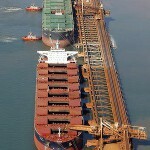 Shipping injuries amid increasing pressure at Port Hedland (0) July 14, 2014 ​A South Korean bulk carrier ship has caught fire, injuring several workers at Port Hedland. Whitehaven hoaxer Moylan avoids jail (0) July 11, 2014 Whitehaven Coal hoaxer Jonathon Moylan has avoided a prison sentence following his sentencing today. Newstan coal mine put back into care and maintenance (906) July 11, 2014 Job cuts loom for 100 workers at another Hunter Valley mine, this time the Newstan coal mine. 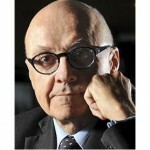 Edwards breaks down booming economic misconceptions (0) July 11, 2014 ​The Reserve Bank’s John Edwards has presented an optimistic interpretation of our economy in his latest work ‘Beyond the Boom’. 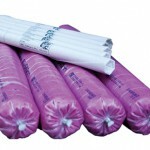 Sherwin Iron gives up the ghost, no future for Roper River iron. 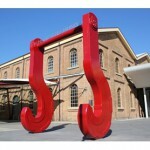 (0) July 11, 2014 ​Another junior bites the dust, as the directors of Sherwin Iron place the company into voluntary administration. 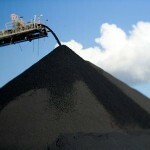 Wollongong Coal threatens to cut coal jobs (0) July 11, 2014 Wollongong Coal is threatening to shut down its Russell Vale mine, cutting 200 miners, if the government doesn’t advance its longwall mining approvals. Rio Tinto sponsors new study chair at University of Tokyo (0) July 11, 2014 Rio Tinto has provided three years of funding for the Rio Tinto Chair of Australian-Japan Studies. 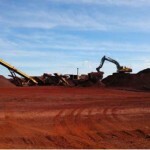 Fortescue Metals Group achieves record iron ore rate (4) July 11, 2014 Fortescue has achieved a record 160 million tonne annualised run rate in June, as it acheives revenues of US$11.4 billion. 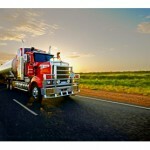 Dangerous goods licences due for five-year renewal (0) July 10, 2014 ​A warning has been sent out to shot firers and mining truck drivers that their dangerous goods security cards are about to expire. 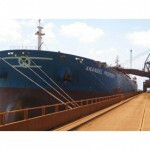 Atlas Iron ships a record amount (0) July 10, 2014 Atlas Iron has beaten its own full year production guidance, shipping a record amount for FY2014. 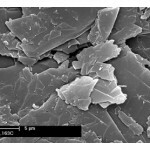 Kibaran’s African graphite to be used for 3D printing in Australia (0) July 10, 2014 ​A recent alliance between a graphite explorer and a 3D printing company has laid the groundwork for a new R&D program. 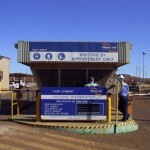 Contractors charged over FMG Port Hedland accident (0) July 10, 2014 ​The Department of Mines and Petroleum in Western Australia have brought charges against two companies in relation to an accident that occurred in 2011. 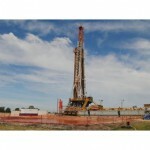 Poor ministerial response to residents concerned about drilling in SE South Australia (0) July 10, 2014 ​Residents of the South-East region of South Australia were snubbed by the state’s minister for mineral resources and energy Tom Koutsantonis. 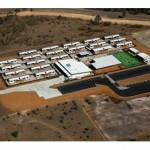 1800 people apply for 100 jobs at Whitehaven Coal’s Maules Creek mine (0) July 10, 2014 Ongoing protests at Whitehaven Coal’s Maules Creek mine is having no impact on people wanting a job at the project with 1800 people applying for 100 permanent roles on offer. 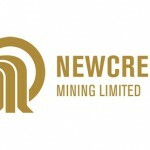 Newcrest announces new executive committee (0) July 10, 2014 Newcrest’s newly appointed CEO has announced a new, smaller executive committee. 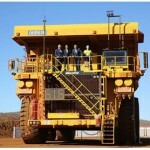 Two PMs on a Pilbara minesite (0) July 9, 2014 Japanese Prime Minister Shinzo Abe and Australian Prime Minister Tony Abbott were welcomed as guests at the West Angeles iron ore mine earlier today. 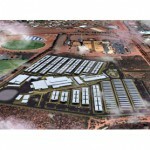 Death in South Hedland workers’ camp thought to be suicide (0) July 9, 2014 ​A 37 year-old man has been found dead in his room at the Gateway Village in South Hedland. UPDATE: Mt Lyell goes into care and maintenance (0) July 9, 2014 Mt Lyell copper mine will not reopen to development or mining production, instead being put into care and maintenance. 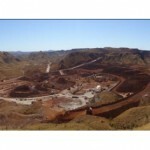 Mongolia versus Rio Tinto continues over Oyu Tolgoi copper (0) July 9, 2014 ​The Mongolian government has urged Rio Tinto to speed up development at the Oyu Tolgoi copper mine. 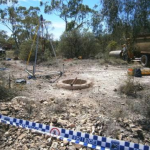 Death highlights need to secure mine shafts (0) July 9, 2014 A report has warned that all mine shafts need to be fenced, covered and properly secured after a man fell to his death at the Lightning Ridge Mineral Claims District. 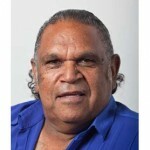 Environmental report says Kakadu safe from Ranger uranium spill (0) July 9, 2014 ​An interim report states there was no adverse environmental impact on human health or Kakadu National Park caused by the leach tank failure in December. 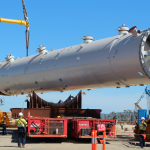 Brookfield completes first stage of Roy Hill mine NPI (0) July 9, 2014 Brookfield Multiplex has completed the first stage of the non-process infrastructure at the Roy Hill iron ore mine. 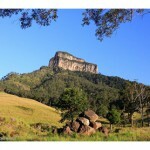 Mt Lyell’s future to be revealed today. (0) July 9, 2014 Workers stood down from the Mt Lyell Mine after a series of fatal accidents will today find out if they may return to work. 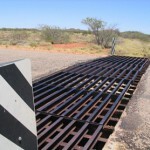 Queensland cattle grid accident worth $1.2 million (0) July 9, 2014 A mining employee has sued the State of Queensland for a whopping $1.2 million, claiming a broken cattle grid caused an injury to his back. 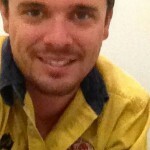 ​Missing Mt Isa miner found (0) July 8, 2014 The body of missing Mt Isa miner Brett Kelly has been found. 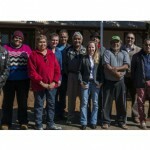 Kanpa community volunteers for nuclear waste dump (0) July 8, 2014 ​Traditional land owners in the Gibson Desert have indicated their interest in hosting a nuclear waste dump, previously intended for the Muckaty Station. 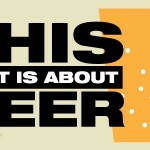 Rio Tinto’s Argyle mine goes grog-free (0) July 8, 2014 Rio Tinto’s Argyle diamond mine is going alcohol-free, with workers fearing that other mine sites around the country will follow suit. 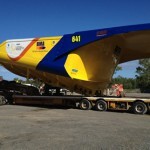 BHP coal mine goes yellow and blue for charity (0) July 8, 2014 BHP’s Blackwater coal mine has coloured a truck tray blue and yellow to support RACQ Capricorn helicopter rescue. 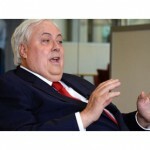 Palmer plays wild card on promise of support for carbon tax vote (0) July 8, 2014 ​The first attempt to push the repeal of the carbon tax through the new Senate has failed, with a move to suspend debate voted down 36 votes to 32. 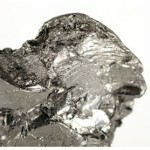 Black Swan nickel project sale a lucky break for Poseidon (0) July 8, 2014 Poseidon Nickel, a junior mining company backed by Andrew “Twiggy” Forrest, will purchase the Black Swan project from Russian powerhouse Norilsk Nickel. 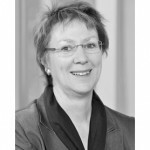 UGL chairman steps down, Spargo to head the board (0) July 8, 2014 UGL chairman Trevor Rowe will retire, with Kate Spargo elected as the new chair of the company. 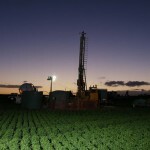 Action Drill & Blast win Talison drilling contract (0) July 8, 2014 Action Drill & Blast has won the drilling contract for Talison Lithium’s Greenbushes mine. 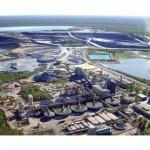 Temporary shutdown for Roper River Iron Ore project (0) July 8, 2014 ​Northern territory resources company Sherwin Iron has ceased operations while it waits for government approvals to develop a mine to full scale. 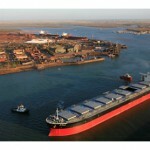 Tempo wins Rio Tinto Cape Lambert port expansion contract (0) July 8, 2014 Tempo has won an SMP contract for Rio Tinto’s Cape Lambert port expansion project. 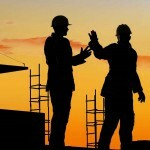 Calibre acquires ARK Maintenance (2) July 8, 2014 Calibre Group has acquired WA mining maintenance services company ARK Maintenance. 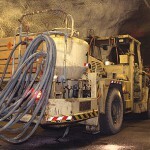 Tasmanian Henty gold mine will close next year (0) July 7, 2014 Unity Mining will close its Henty gold mine next year, and it moves from production in to care and maintenance, affecting 150 workers. 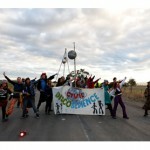 Illegal protests continue at Maules Creek mine (0) July 7, 2014 Whitehaven Coal’s Maules Creek mine is again the target of illegal protests today as two people chained themselves to a crane at the construction site in north-west New South Wales. Mining to restart at Nifty copper mine after cave-in (0) July 7, 2014 The Department of Mines and Petroleum has lifted a mining suspension at Aditya Birla’s Nifty copper mine after a cave-in shut the operation in March. 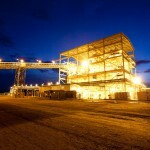 BHP’s Nickel West sale attracts big-name bidders (0) July 7, 2014 Speculation is mounting that the sale of BHP Billiton’s Nickel West assets is not far away as six potential bidders take a closer look at the business. 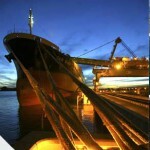 Decmil win Rio Tinto Cape Lambert Port B contract (0) July 7, 2014 Decmil has won the non-process infrastructure at Rio Tinto’s Cape Lambert Port B.
Geoscientist unemployment rate remains higher than GFC figures (0) July 4, 2014 A fall in the unemployment rate for geoscientists has been cautiously welcomed by their key industry group, the Australian Institute of Geoscientists. 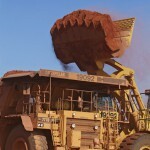 Iron ore price recovers to above $US96 (0) July 4, 2014 Iron ore has seen a price resurgence as China shuts down its high-cost mines and announces upbeat manufacturing data. 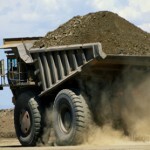 Mining slowdown equals sales slump for Komatsu (0) July 4, 2014 ​Komatsu’s sales in China have taken a dramatic tumble amid slowing Asian demand in the mining and construction sectors. 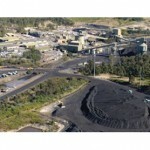 Vale’s management obligations remain in place for Integra coal closure (0) July 4, 2014 ​The Hunter Valley office of the Department of Planning and Environment has met with Integra coal mine management to discuss the mine’s closure. 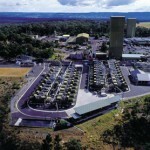 Venture Minerals granted mining lease for Mt Lindsay tin project (0) July 4, 2014 ​The Tasmanian minister for resources Paul Harriss has granted a mining lease for Venture Minerals, quashing objections from environmentalists. 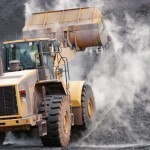 540 coal jobs in the offing as new $1.76 billion mine approved (16) July 4, 2014 540 new jobs are set to be created with the Byerwen Coal project receiving Queensland government approval. 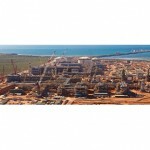 Southern Cross Electrical win BHP power station contract (0) July 4, 2014 Southern Cross Electrical Engineering have won a contract for BHP Iron Ore’s Yarnima power station works. Troubled gold miner Norseman opens accident site, closes mines (0) July 4, 2014 ​The site of a fatal accident at the Harlequin gold mine has been ​reopened by the Department of Mines and Petroleum. 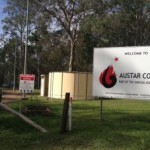 Longwall production restarts at Austar mine after wall collapse deaths (0) July 4, 2014 Yancoal has restarted longwall production at its Austar mine after two workers were killed by an underground wall collapse in April. 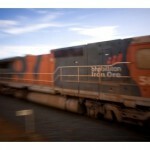 Gunman shoots at BHP iron ore train (0) July 4, 2014 ​​Western Australian police believe that damage to a moving BHP Billiton train was caused by gunfire. 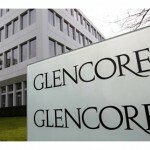 ​Glencore slams no tax claim, provides tax figures (0) July 3, 2014 Glencore has denied allegations it has paid no tax at all in the last three years, with its head of Australian coal providing figures. 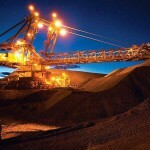 BHP Billiton to cut 163 jobs from Mt Arthur coal mine (0) July 3, 2014 BHP Billiton will shed 163 jobs from its Mt Arthur coal mine as the company attempts to “reset” the cost base at the operation. 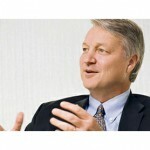 Dirk Hoke appointed CEO of Siemens large drives business unit (0) July 3, 2014 Siemens has appointed Dirk Hoke as the new CEO of its large drives business unit. 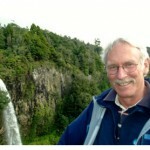 New Zealand safety expert dies (0) July 3, 2014 ​Mine safety specialist Dave Feickert has died after a long battle with terminal cancer. 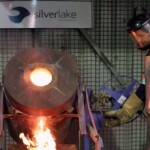 More job losses as Silver Lake closes gold mill (0) July 3, 2014 Silver Lake Resources is set to cut more jobs as the gold miner closes its Lakewood Mill. 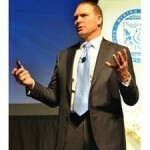 MacFarlane launches federal exploration incentive (0) July 3, 2014 ​The Association of Mining and Exploration Companies has applauded the launch of the new Exploration Development Incentive, launched in Perth yesterday. 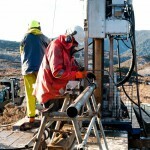 Professor Iain Stewart to speak at Newcastle’s earth sciences convention (0) July 3, 2014 ​Newcastle will host nearly 600 delegates from the mining and geoscience communities next week at the Australian Earth Sciences Convention. 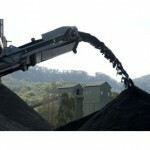 T4 coal loader at Newcastle gains environmental approval (0) July 3, 2014 The T4 coal loader on Kooragang Island is a step closer to reality after being approved by the NSW Department of Planning and Environment. 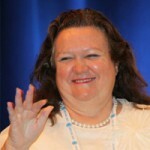 Gina Rinehart enters joint venture to buy into WA cattle stations (0) July 3, 2014 Iron ore magnate and Australia’s richest woman, Gina Rinehart has purchased up to a 50 percent stake in the Liveringa and Nerrima cattle stations in WA’s West Kimberly region. 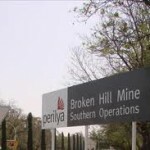 Perilya mine contract changeover, 20 jobs cut (0) July 3, 2014 Twenty workers have lost their jobs at Perilya mine in Broken Hill after a maintenance contract being carried out by Macmahon was handed to a smaller contractor. 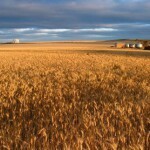 SA farmers have little faith in miners (0) July 3, 2014 ​South Australian farmers on the Eyre Peninsula have indicated their scepticism about the possibility of co-existence for mining and farming activities. 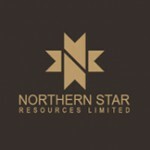 Northern Star completes takeover of Jundee gold mine (0) July 3, 2014 Northern Star Resources has completed its acquisition of Newmont’s Jundee mine, officially catapulting the company to the second largest ASX- listed gold miner. 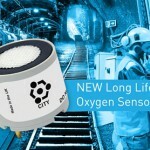 Long-life oxygen and gas sensors (0) July 2, 2014 City Technology is introducing a new oxygen sensor to its industry-leading gas sensing range. 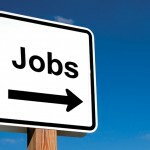 Australia entering phase three of mining boom, 75,000 jobs to be cut (0) July 2, 2014 According to a new report by ANZ, 75,000 mining-related jobs are at risk as Australia enters “phase three” of the mining boom over the next few years. 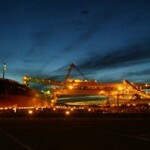 BHP Billiton celebrate the export of one billionth tonne of iron ore to Japan (0) July 2, 2014 BHP Billiton has celebrated a significant milestone after shipping its one billionth tonne of iron ore to Japan. 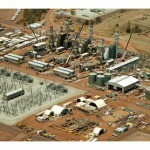 Bechtel warns it will strike back against protected action (0) July 2, 2014 ​The campaign for 3/1 working rosters on Curtis Island has received a shot in the arm, with protected action approved by Fair Work Australia on June 30. 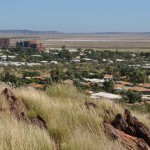 Karratha receives new status, now known as a city (0) July 2, 2014 One of Australia’s best-known mining towns has received a new status with Karratha to now be known as a city. 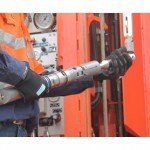 Sandvik launches new multi functional core barrel system for drilling (0) July 2, 2014 Sandvik has launched a new multifunctional surface and underground core barrel system for core drilling.